Your Guide to Fix Injuries & Get Flexible. Thousands of athletes and non-athletes around the world are using our programs. 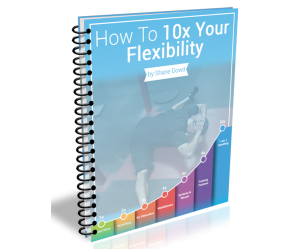 Starting a new stretching/mobility program can be a daunting task. We have developed programs to take the guesswork out of fixing whatever injury or inflexibilities you have! We've lived through pain and injury and found a way to recover faster. Let our TSR System guide you step-by-step through your own recovery. "I’ve been using the tips and strategies learned from the program and I have been seeing crazy results. Results I never thought I’d see again in my life. I guess that’s just the pessimism in me but I have been more than satisfied thus far. " Stedman Smith, Previously in Constant Pain. Take the guesswork out of recovery by using our roadmap to a better, more flexible, you! © 2019 Got ROM, Inc.